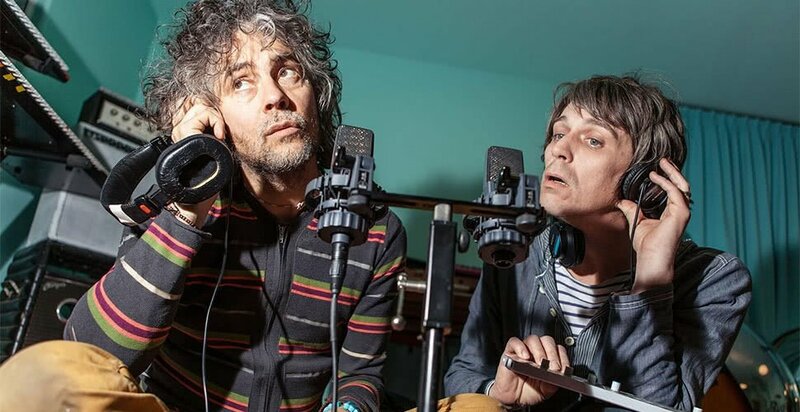 Ever since The Flaming Lips first formed in Oklahoma City back in 1983, they’ve made a name for themselves as one of the kookiest groups in the business. However, the group have just embarked upon arguably their most normal venture in a number of years, launching a new podcast that looks back on their musical history. In anticipation of the group’s Greatest Hits compilation, which is set to be released later this week, the band have launched a new podcast which aims to give listeners “a song by song history” of their works and music. The track has now seen a widespread release as part of the group’s forthcoming compilation album, which is set to feature this previously-limited track, alongside a number of the band’s best-known hits and rarities. This new compilation album comes just a month after The Flaming Lips released a limited-edition record for Record Store Day which was filled with their own pink beer which had been specifically brewed for the occasion. Likewise, April of 2017 also featured the group launching a new piece of merchandise by way of a hand soap which was designed to look like a foetus.